A San Francisco cable car holds 60 people. This blog was viewed about 990 times in 2014. If it were a cable car, it would take about 17 trips to carry that many people. 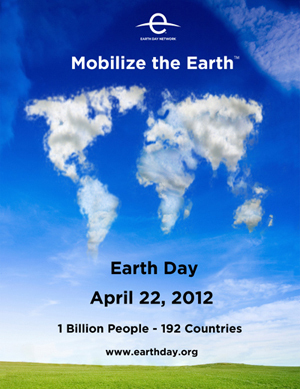 On April 22, more than one billion people around the globe will participate in Earth Day 2012 and help Mobilize the Earth™. People of all nationalities and backgrounds will voice their appreciation for the planet and demand its protection. Together we will stand united for a sustainable future and call upon individuals, organizations, and governments to do their part. Attend a local Earth Day event and join one of our Earth Day campaigns as we collect A Billion Acts of Green® and elevate the importance of environmental issues around the world. 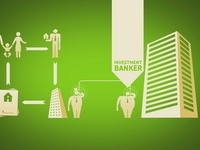 Click here to see for ideas on how you can get involved. April 22nd is Earth Day. This year, Earth Day’s theme is themed after A Billion Acts of Green: the people-powered campaign to generate a billion acts of environmental service and advocacy before Rio +20. Earth Day – April 22 – each year is a day designed to inspire awareness and appreciation for the Earth’s environment. Share this, and other information about Earth Day, with your blog readers so that we can all harness the power of the blogosphere to make Earth Day 2010 the most successful Earth Day in history. Read the Earth Day Blog to learn more about how you can help and the important issues and challenges facing our Earth. Check out the resources on the official Earth Day site at www.earthday.net/node/88 and create an Event using “Earth Day in a Box”. Post an Action Badge on Your Blog and spread the word about the importance of Earth Day 2010. Seit einiger Zeit vergeht kaum ein Tag, an dem in den Medien nicht über die gegenwärtige Finanz- und Wirtschaftskrise berichtet wird; die Hintergründe dieser weltumspannenden Krise, die ihren Anfang bekanntlich in den USA genommen hat, sind aber kaum bekannt und werden auch kaum aufgezeigt. Jonathan Jarvis, ein junger Designer aus Los Angeles/USA, hat die Thematik vertieft und visuell aufbereitet, und dies so gekonnt, dass die Inhalte auch für Personen mit geringen Englisch-Kenntnissen verständlich sind – aber sehen Sie selbst! …the blogging community effectively changes the conversation on the web and focuses audiences around the globe on that issue. Bloggers Unite is an opportunity for bloggers, vloggers, and photobloggers to use their space to make the world a better place. By adding a badge, you can show your support of our newest social awareness campaign.